Evian recently relocated here from Fairbanks, Alaska with her husband and daughter. She studied medical coding and billing, and brings a wealth of positivity to the office. 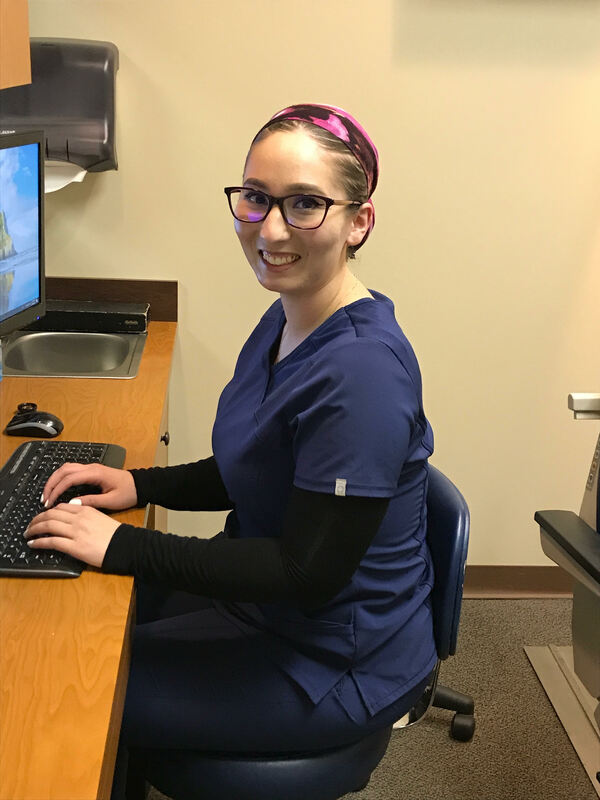 Although Evian is new to optometry, she is eager to grow and thrive in the field. Her patience and caring nature make her a welcome addition to our team. In her free time, Evian is an amazing artist that specializes in acrylic paintings that she showcases in gallery’s around the East Coast. She also likes to spend time outdoors with her family and friends. Stop by and say hello to one of the newest members of our team!